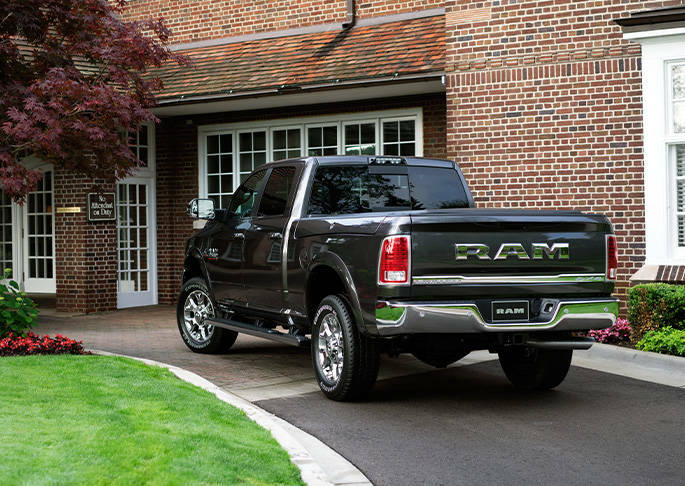 The 2016 RAM 2500 is one of the best performing full-size pickup trucks available in the market, which delivers a smooth ride, pleasant interior, and a range of powerful engine options. The cabin has excellent high-quality materials in most trims and the build-quality is remarkable. The rear seats in Lone Star and SLT models offer ample legroom for adults. The optional infotainment system is intuitive and very accessible, featuring large, easy-to-tap touch-sensitive buttons. IIHS has given the RAM 2500 top ratings in all crash tests and NHTSA has rated four stars out of five for overall safety. With its range of engine options, exceptional cabin, and remarkable safety, the 2016 RAM 2500 proves to be one of the best full-size pickup trucks on the roads. Take the new RAM 2500 out for a test run today by visiting Tempe Chrysler Jeep Dodge Ram. We serve all areas in Mesa, Phoenix, and Scottsdale, AZ and offer amazing deals, specials and discounts. The 2016 RAM 2500 is redesigned to be quite big on style, features, and aerodynamic design. Every trim level has its own unique grille design so you can stand out in your ride. A new RamBox® Cargo Management System provides a durable and secure storage system incorporated into the side rails of your truck bed. No matter which trim or configuration you purchase, you will find a well-appointed cabin. The truck comes with top-notch materials and excellent build quality, including leather trim pieces and luxurious woods. The cabin is incredibly quiet too and is built with plenty of noise-reduction materials. The interior also features RAM’s Uconnect® Infotainment system with voice recognition for navigation. 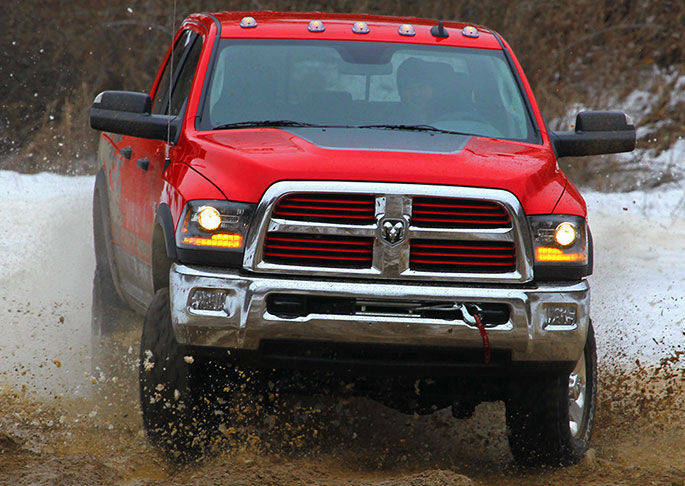 The 2016 RAM 2500 is available with a choice of three engines. Standard on the RAM 2500 is the 5.7L HEMI® V8 Engine with Variable Valve Timing that delivers outstanding airflow with an indispensable 383 horsepower and 400 lb-ft of torque. The available 6.4L HEMI® V8 Engine with Fuel Saver Technology uses two spark plugs per cylinder for reducing exhaust emissions and increasing peak power, all with 410 horsepower and 429 lb-ft of torque. Its fuel saving technology shuts down four cylinders when cruising to deliver optimal fuel-efficiency. The available 6.7L CUMMINS® Turbo Diesel Engine turns your RAM into a dependable powerhouse, ripping out an impressive torque of 800 lb-ft and horsepower of 370, while delivering best-in-class 17,980 pounds towing capacity.